Have you been suffering from excessive pain in your lower back? If you’ve been experiencing issues and general discomfort in your lower lumbar region, it may not just be “sleeping on the wrong side”. Often times, lower lumbar region pain can be attributed to major spinal issues such as herniated disc injuries and pinches nerves. If you think you’ve been experiencing any of the below symptoms, we encourage you to come in to Pure Chiropractic today to help us get you back on track! We’ve been helping residents of Howell, Michigan with their lower lumbar issues for years, and we’d love to help you too! Your spinal discs are small, spongy discs that attach to the vertebrae in your spine and help provide shock absorption to protect your spinal cord from major injuries, and allow flexibility. A herniated disc in the spine occurs when an outer portion of a vertebral disc is torn. This can happen for a variety of reasons: bulging, herniation, degenerative disc disease, wedging and protrusion, etc. This tear causes the inside of the disc (containing the nucleus and the spinal nerves) to protrude outward through the torn fibers. This can cause a phenomenon known as “pinched nerve” when the nerve coming from the inside of a spinal disc pinches or irritates a nearby nerve regularly. According to Mayo Clinic, the most common symptoms of herniated disc injuries are intense pain, numbness, and weakness in the areas where these nerves travel. Occasionally, the pinched nerve creates more irritation and pain within the major spinal nerves and can radiate downward towards the legs. Many people with herniated disc injuries can end up with sciatica, a painful condition caused by the irritation or pinching of the sciatic nerve. 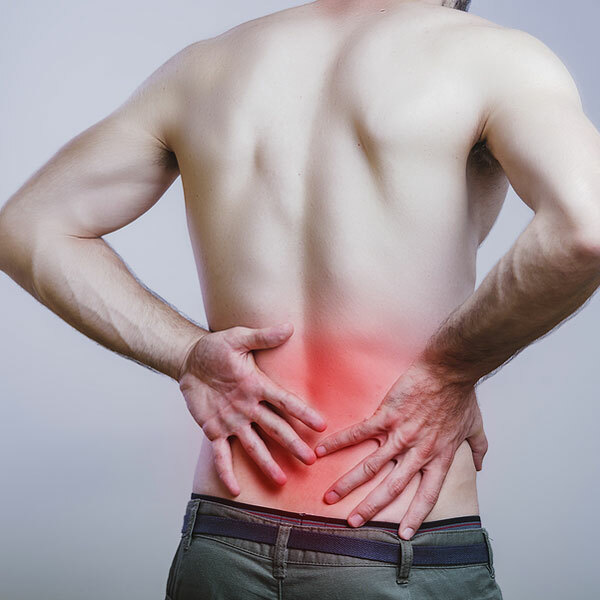 The main symptoms of a herniated disc lie in discomfort and pain - often times, pain is felt in the lower lumbar regions and can be experienced 24/7. If you’ve experiencing arm or leg pain, tingling or numbness, or any other lower back related pain, you may be suffering from a herniated disc. Thankfully, chiropractic care can be a great way to diagnose and correct your herniated disc injury, and most patients do not require surgery to do so. Why should I seek chiropractic treatment for my herniated disc injury? Seeking chiropractic care can be incredibly beneficial and important for your herniated disc injury. Often times, patients that come in complaining of lower back pain and discomfort are not aware of their herniated disc. Without the help of a doctor, it is impossible to properly identify and diagnose this injury, and finding treatment for your symptoms may be more difficult. A chiropractor will be able to analyze your herniated disc and assess the location of the injury. Usually, a physical exam will help your doctor better pinpoint the cause of your pain. In most patients, a physical exam is all that is needed to diagnose the problem and suggest a solution. However, occasionally an MRI or a CT Scan may be used to help your doctor confirm the herniated disc and properly identify it’s location if a physical exam does not do the trick.Then, a plan to correct the injury will be set in place, which will allow restored movement, improved function, and relieved spinal stress overall. A specifically designed exercise regimen may be put in place, and in many cases physical therapy might be suggested to help create a specified list of exercises that will allow your herniated disc to better heal. According to the National Center for Complementary and Integrative Health, chiropractic care is critical in diagnosing and treating herniated disc injuries and many forms of treatments (exercise, massage, and physical therapy) prove helpful for most patients. In rare cases, herniated disc injuries do not cause serious or permanent pain in patients. Some patients have only minor discomfort, and find that getting proper rest and using a heating pad or doing stretches/exercises to keep the spine flexible can help relieve most symptoms. However, chiropractic treatment is incredibly important for herniated disc injuries even if you feel that your symptoms may not be as severe as others. Herniated discs, because they are often associated with nerve pain, can lead to further spinal issues that can be more serious and more difficult to deal with. Apart from sciatica, a very common symptom of most herniated disc injuries, patients can develop degenerative disc disease or other major nerve issues. Seeking chiropractic treatment at Pure Chiropractic will help prevent further spinal issues or damage, and can help you with more permanent solutions to your pain and discomfort. Drs. Chris and Krystal have both had extensive experience in chiropractic and active injuries, and are passionate about taking individualized approaches to your complete treatment. If the injury is serious, a discectomy or microdiscectomy (surgery to decompress the nerve root) may be necessary, and this will be determined at your exam. Apart from diagnosis and prevention, chiropractic treatment can help you find the best treatment plan for your specific symptoms. According to Mayo Clinic, exercising regularly and maintaining a healthy weight and maintaining good posture are both excellent ways to aid your chiropractic care and encourage further healing and prevention. Some patients might require physical therapy, while others might only need to incorporate light exercise into their daily regimens. Finding the ideal treatment plan for you is incredibly important in ensuring that your herniated disc injury does not bother you for the rest of your life. Here at Pure Chiropractic, we understand the herniated disc injuries can be painful, and can make daily living incredibly difficult. Identifying the problem is the first step in finding lasting, reliable solutions, which is why we encourage you to come into our clinic and speak with Drs. Chris and Krystal. Both of them have had experience with a variety of different chiropractic issues, with both doctors sharing a philosophy of long term, complete wellness for their patients. We take patient care seriously and personally, and know that no two cases are the same, which is why our approach to chiropractic care is incredibly individualized. We’ll assess your disc injury and discuss the solutions we think would best suit you in getting your discs back on track. Taking this step towards a less painful, less uncomfortable life is vital, and we’d love to help you! Come into our office today to learn more about your injury and the ways we might be able to help you with your injury!